With the help of my daughter, Jaye, I finally constructed my contribution to the House Quilt Project that I had written about earlier this summer. The art quilt will be hung in a home of a wounded service member that has been helped by Furnishing Hope whose mission "is to improve the living space for people in crisis one room at a time; to provide a home-like environment for kids and families in stressful situations. It is our goal, whatever the situation, to ensure the children in these homes are the benefactors of our transactions." 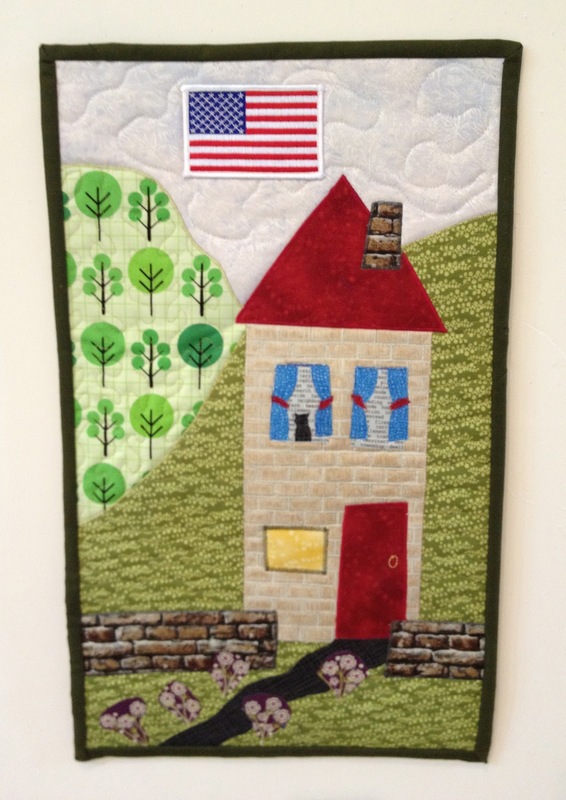 The House Quilt Project provides art quilts to Furnishing Hope. Jaye and I had a wonderful time designing our little house during my recent visit to her home. We used her growing stash of fabrics. My cousin, Kate, was also visiting and got into the design act as well. 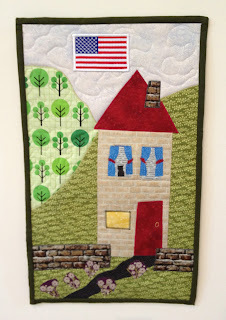 The House Quilt Project is always looking for donations. To learn more about the requirements for submitting an art quilt, please go here. The criteria are simple and you feel great after you complete one! Lovely quilt...glad you joined in! It is about time for me to do another one again. Thanks, Linda. My daughter and I totally loved it. It was the perfect size project and teaching tool for her.